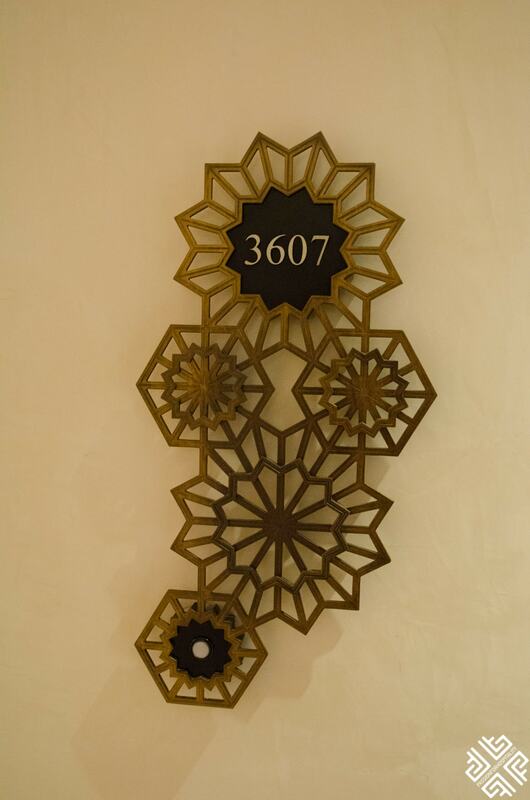 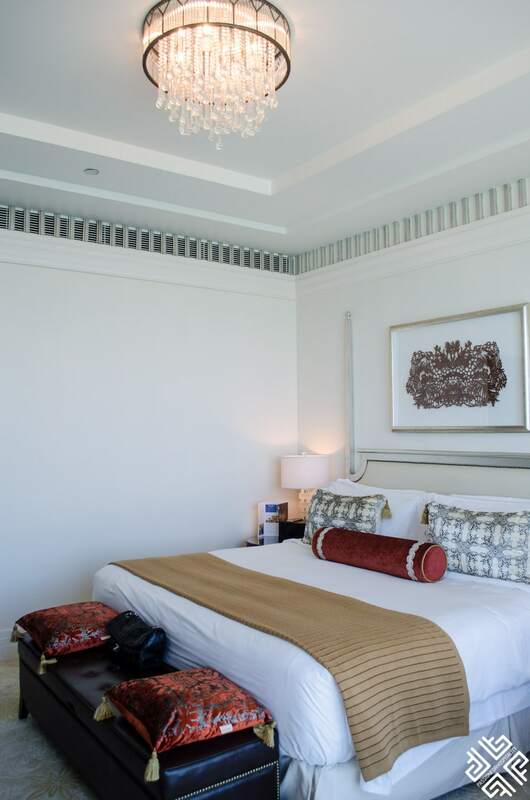 This urban retreat in the heart of Abu Dhabi is set on the city’s famous Corniche, a grandeur luxury haven spanning over 49 floors of one of the two Nation Towers — offering staggering ocean views. Rated as one of the finest luxury 5-star hotels in Abu Dhabi, the St. Regis Abu Dhabi is a wonderful choice for those seeking sun, sand, relaxation and retreat — combined with stellar service and unwavering comfort. 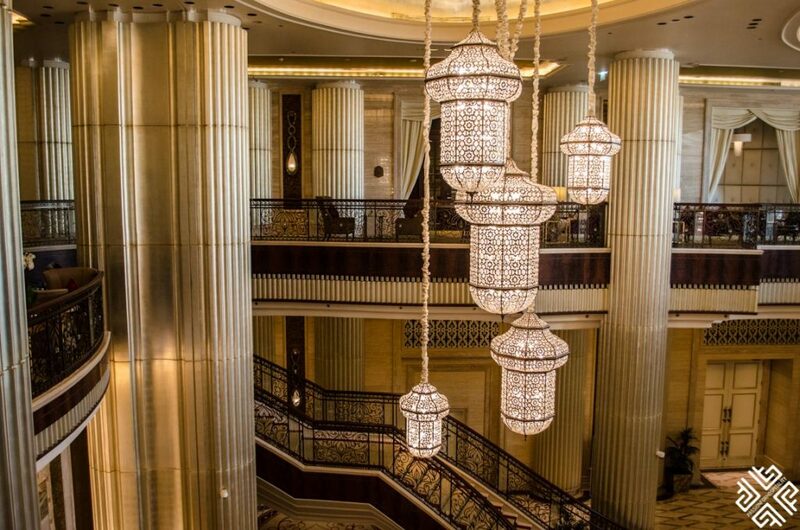 During my recent trip to Abu Dhabi I got to experience the St. Regis Abu Dhabi’s refined atmosphere, impeccable hospitality and bespoke service. 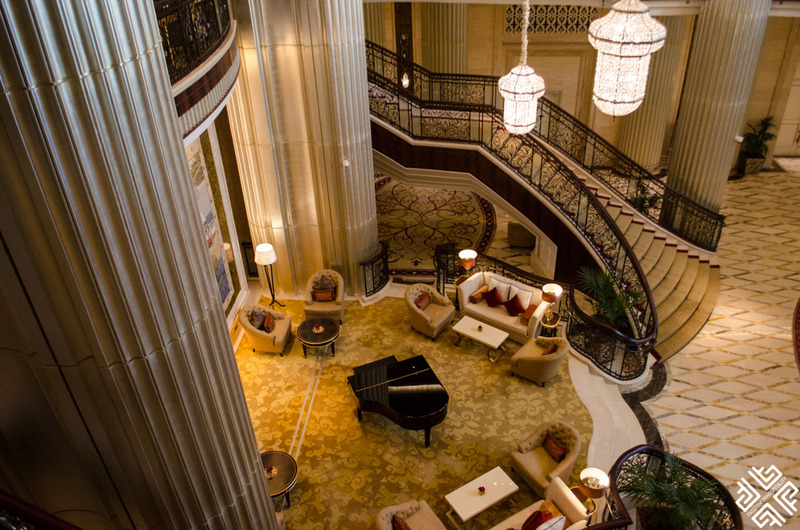 Greeted by the grandest staircase, opulent chandeliers and lavishly palatial lobby area — here’s an inside peak into Abu Dhabi’s number one address. 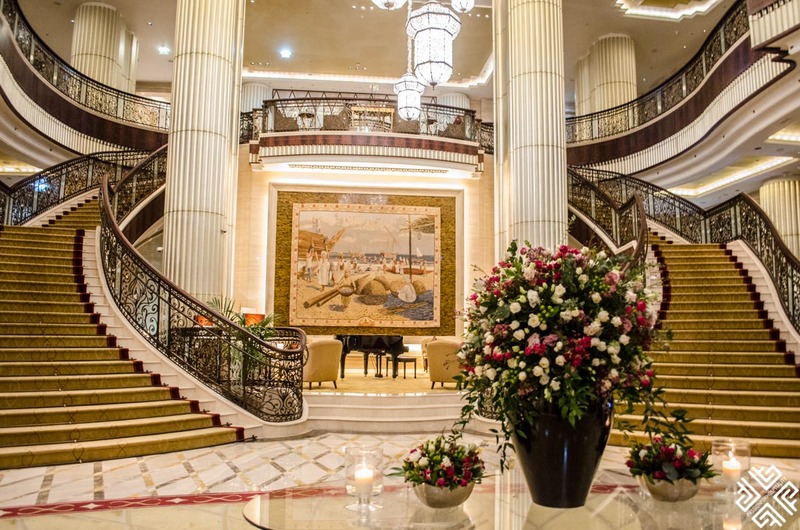 Enjoying a dazzling location in the heart of Abu Dhabi this glorious property offers 283 guest rooms and suites with breathtaking views of the Arabian Gulf. 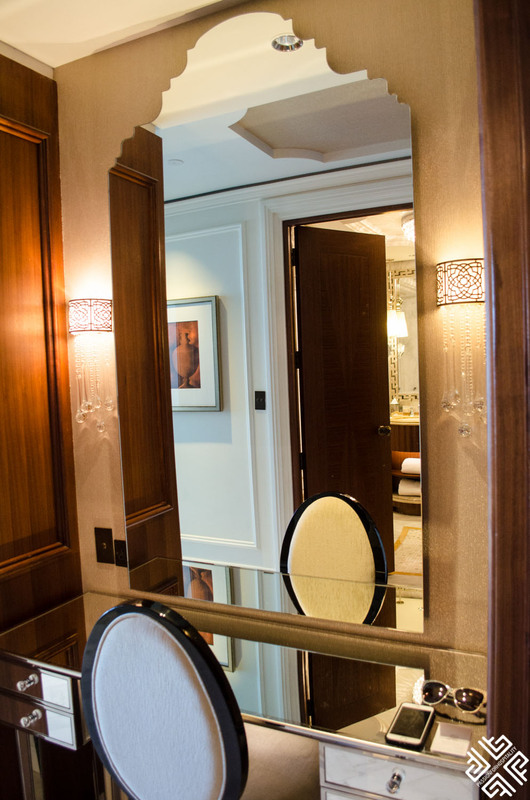 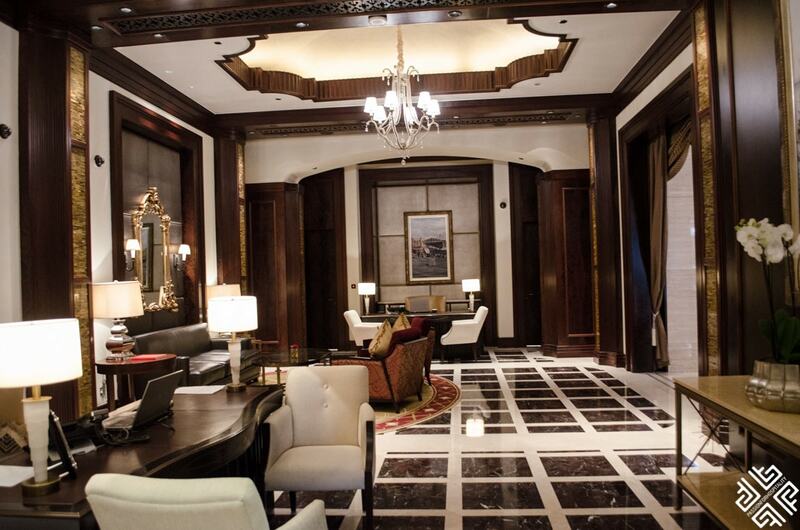 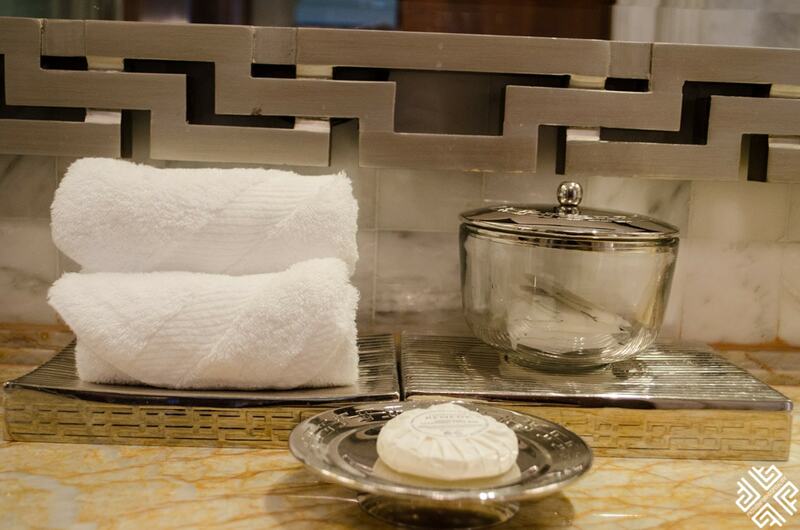 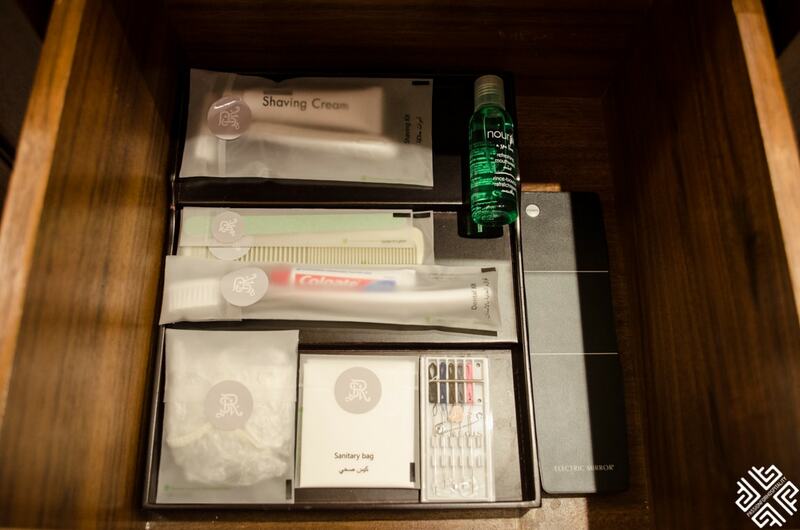 Each guest room comes with the signature St. Regis Butler Service, adding a wonderful touch of comfort to your stay. 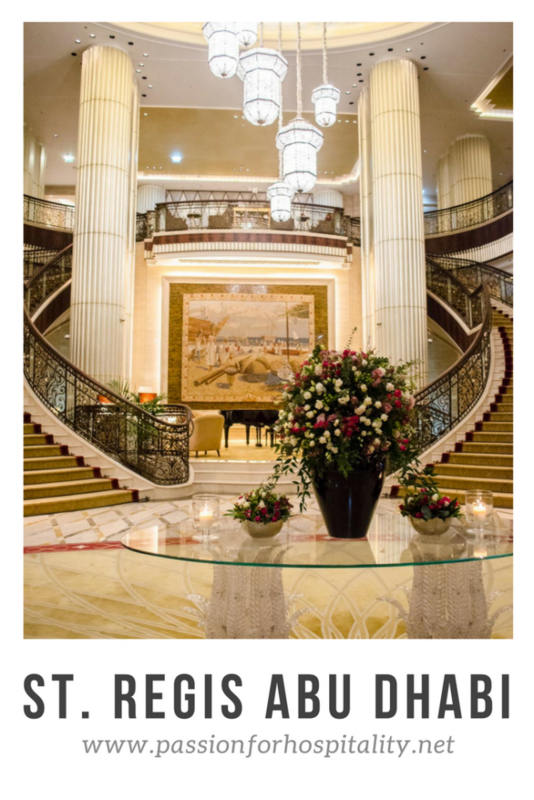 My check-in was seamless and professional, upon arrival I was greeted by the hotel’s staff and led to the reception area which is more of a cozy living room rather than a typical busy hotel lobby. 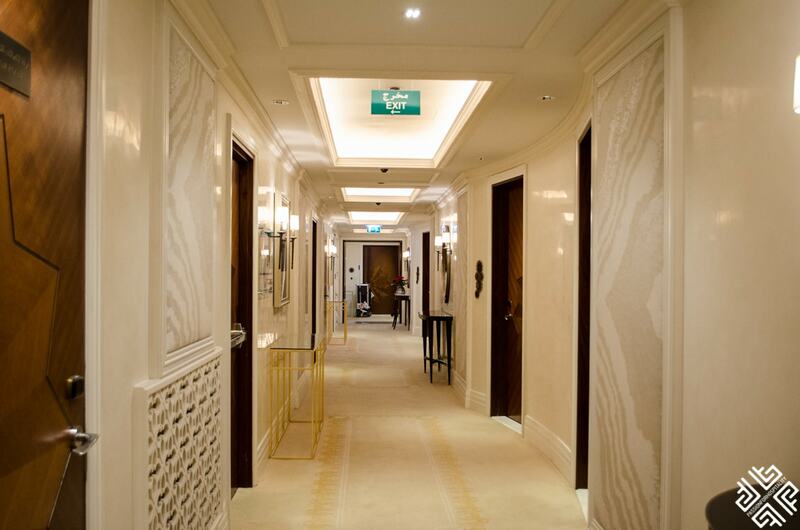 Lined with wood writing desks and comfortable cream colour armchairs, exuding an ambience of a royal palace. 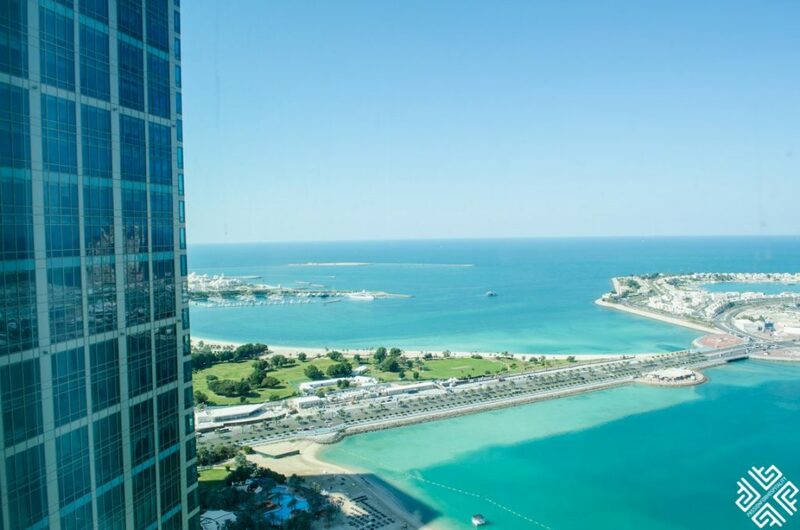 My Superior Seaview guest room was located on the 36th floor with breathtaking views of the Corniche and the Arabian Gulf. 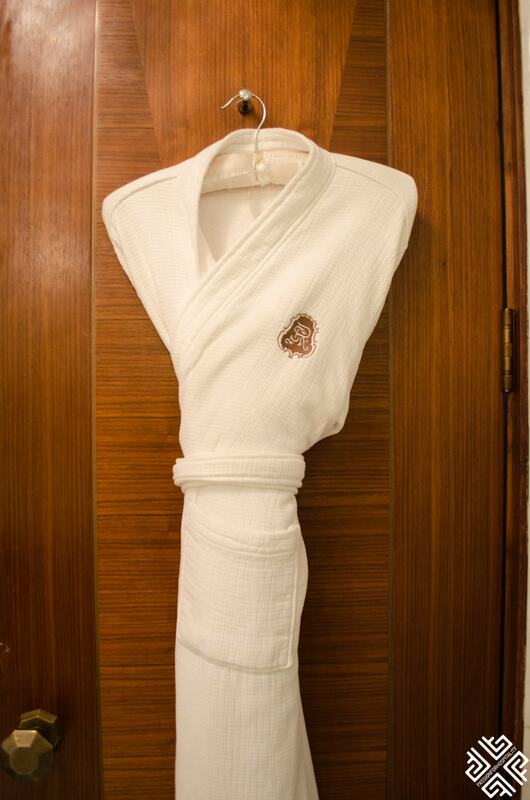 My Butler was already there to assist me with unpacking my luggage which I kindly refused as I was traveling light. 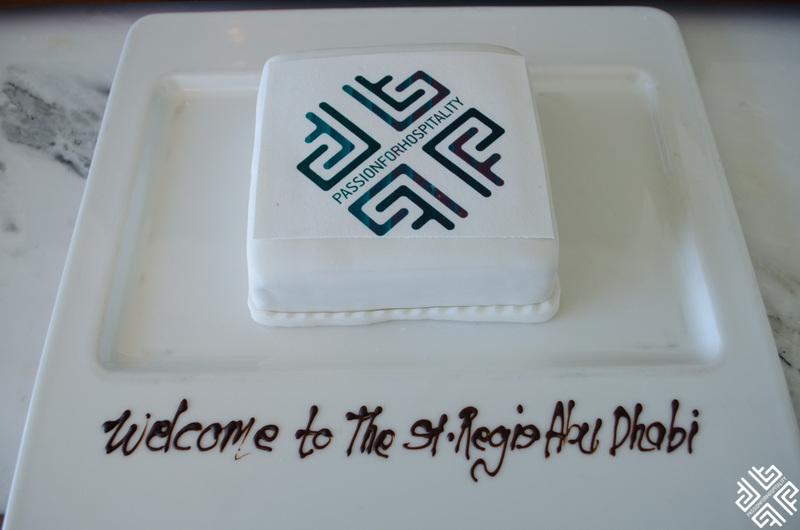 Upon arrival a beautiful customised cake was waiting for me in my room with the logo of Passion for Hospitality — a delightful welcome from the St. Regis Abu Dhabi team. 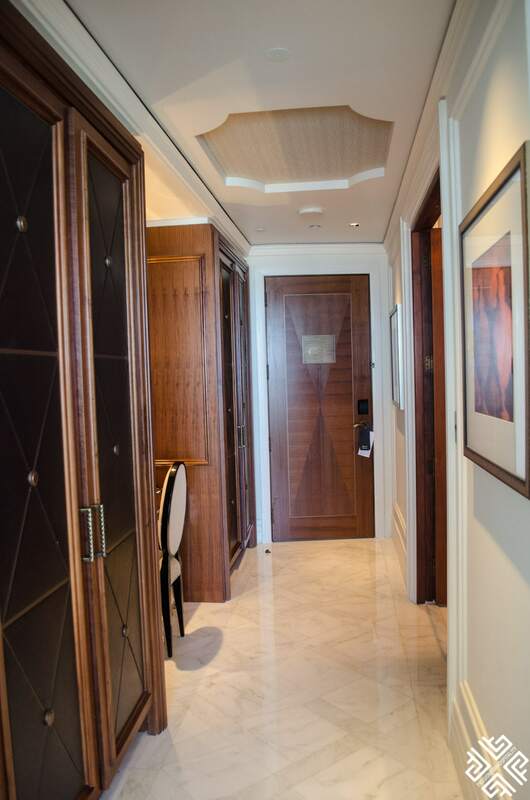 The luxury room spans across 45 square meters of space with beige and warm toned colours of carpeting and curtains with a splash of red, gold and silver accents that are inspired by the date seeds. 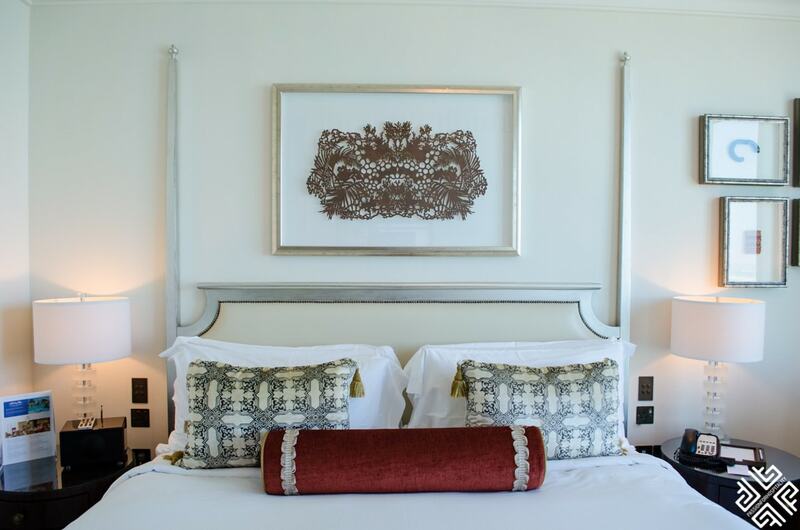 The elegant and plush decorative bed covers and pillows are the star accents of the guest room, offering the traditional Bedouin weaving touch to the overall ambience. 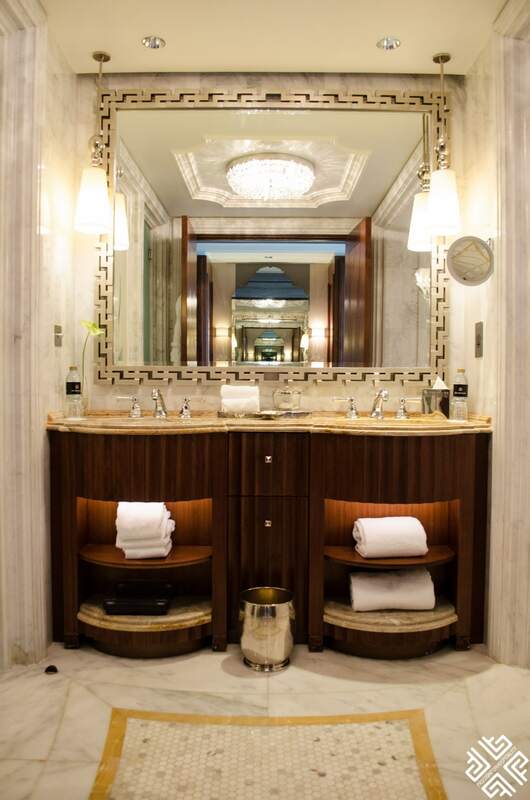 The guest room had a separate spacious working desk and a sitting corner as well as a beautiful mirror dressing table located in the corridor, between the bedroom and the en-suite marble bathroom. 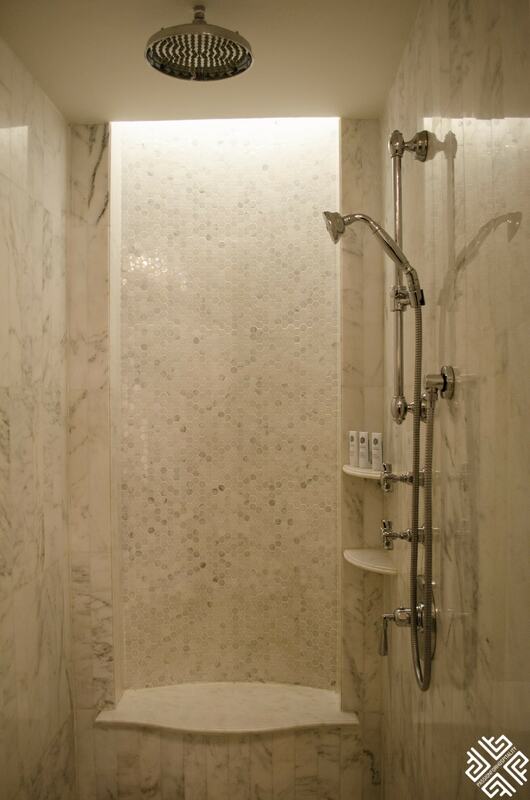 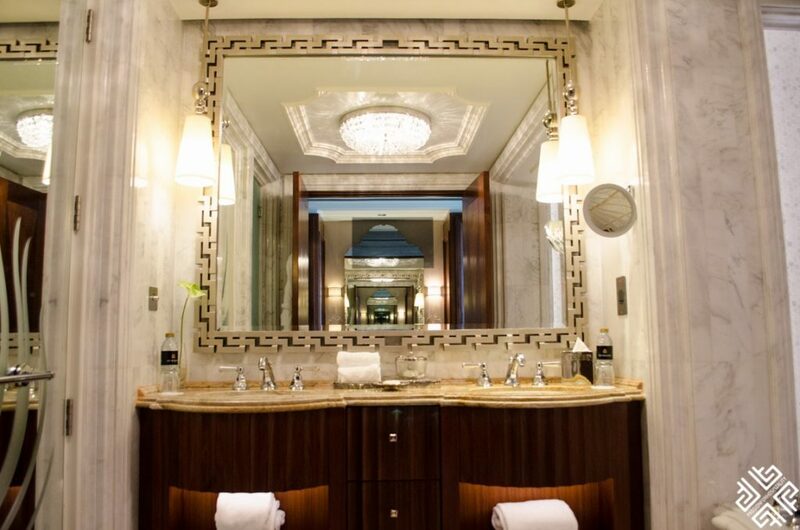 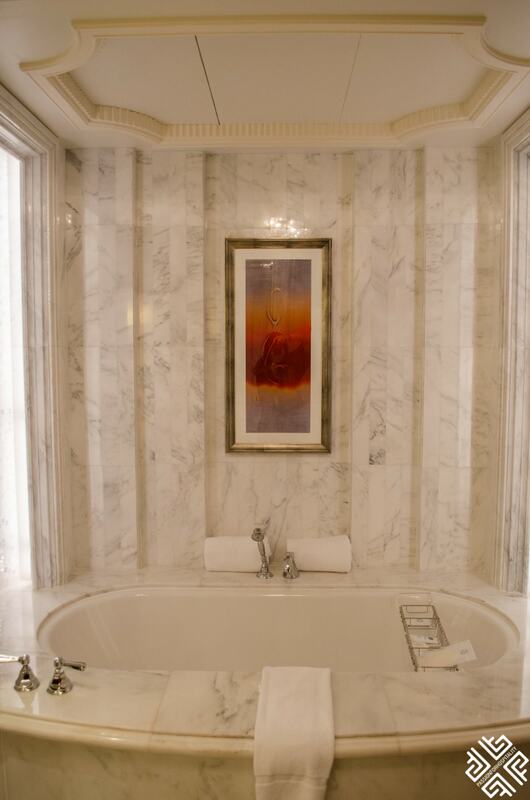 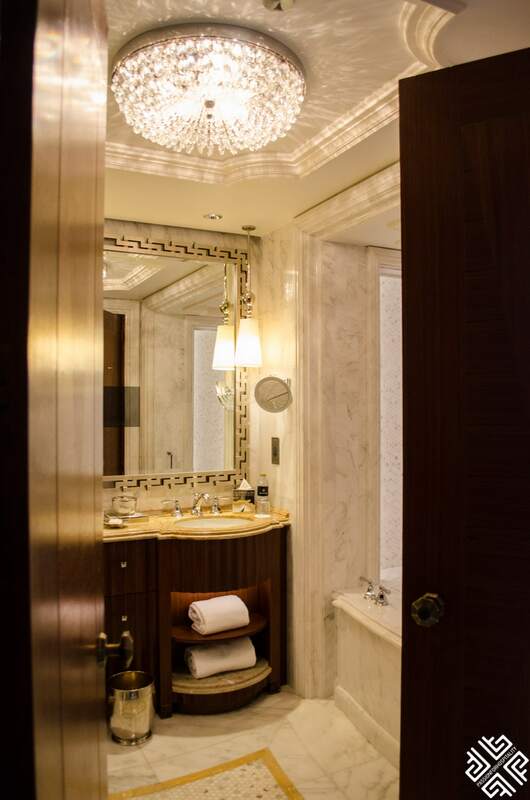 The state-of-the-art bathroom decorated with an elegant crystal chandelier, white marble and wood fixtures, features a double vanity, a bathtub and a separate rainfall shower. 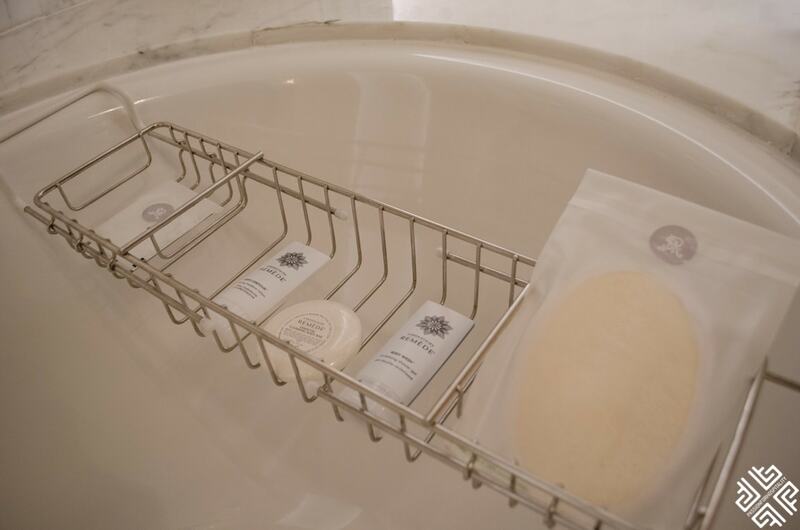 The bathroom is equipped with all the amenities (shaving kit, sponge, mouthwash, sewing kit, etc), plush bathrobes and slippers. 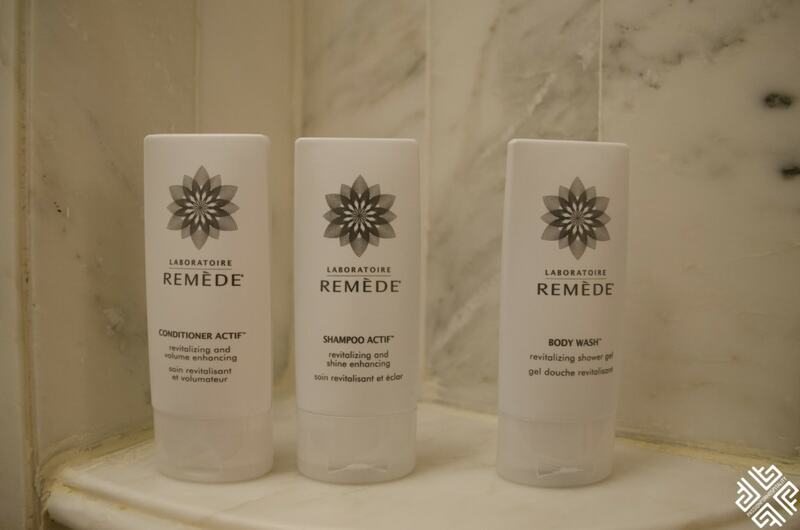 The toiletries are Laboratoire Remède. 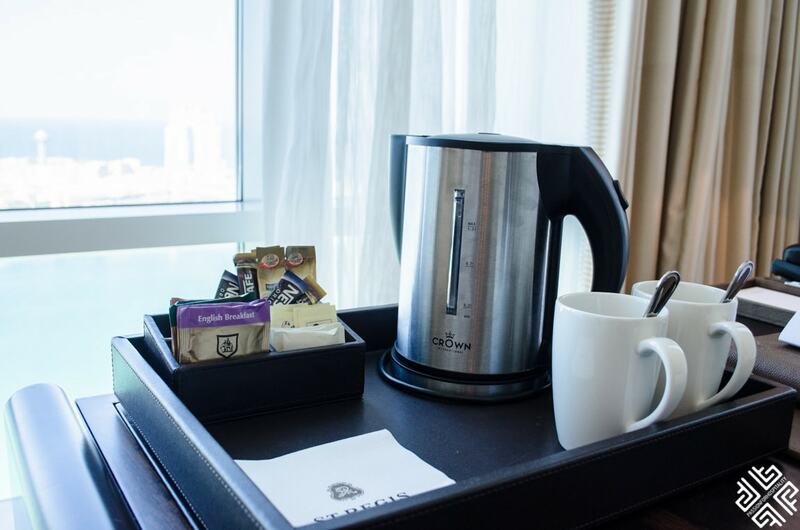 The room features tea and coffee making facilities, a fully stocked mini bar, electronic laptop size safe and complimentary Wi-Fi. 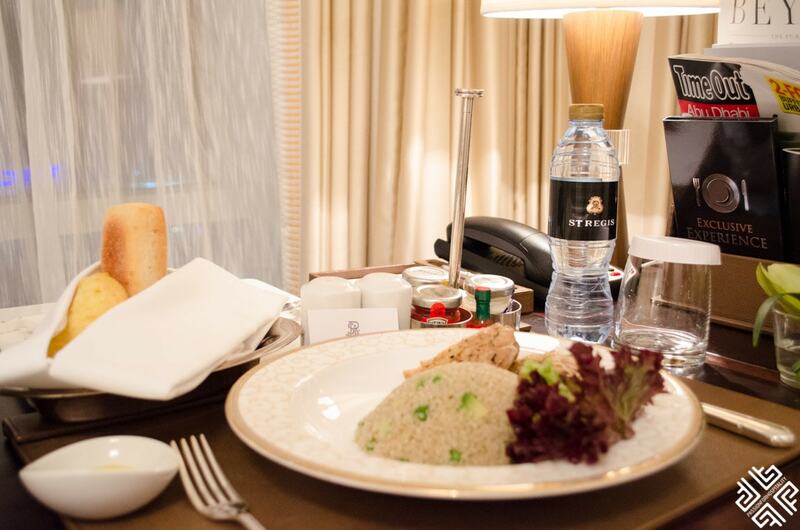 In the evening I ordered room-service which was exceptional, I had a delicious quinoa salad with chicken fillet and the room service staff was very prompt at picking up the tray after I finished my meal. 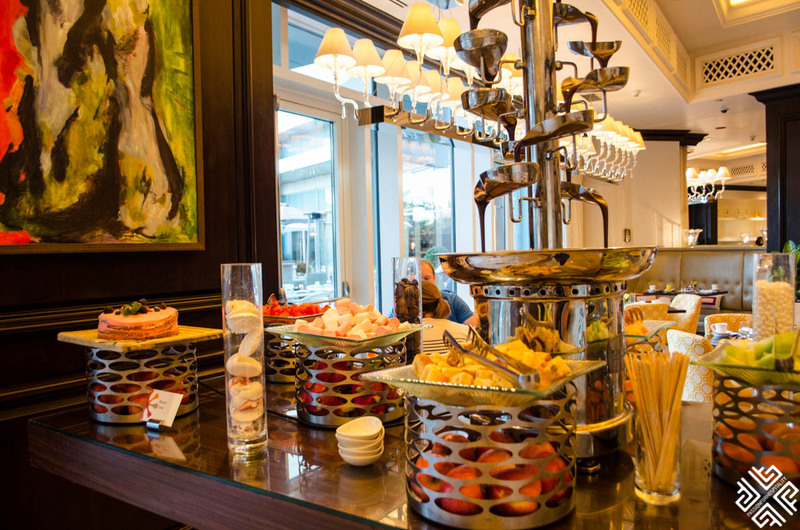 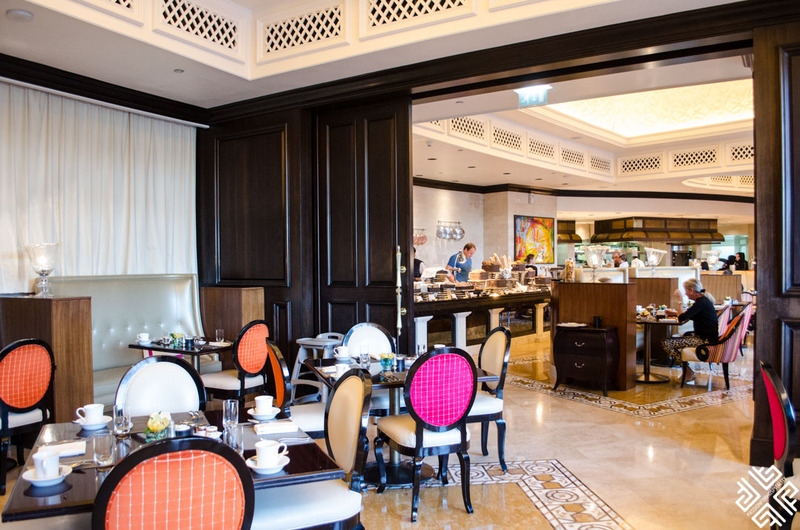 Breakfast is served in an elegant, colourful dining room located on the ground level of the hotel. 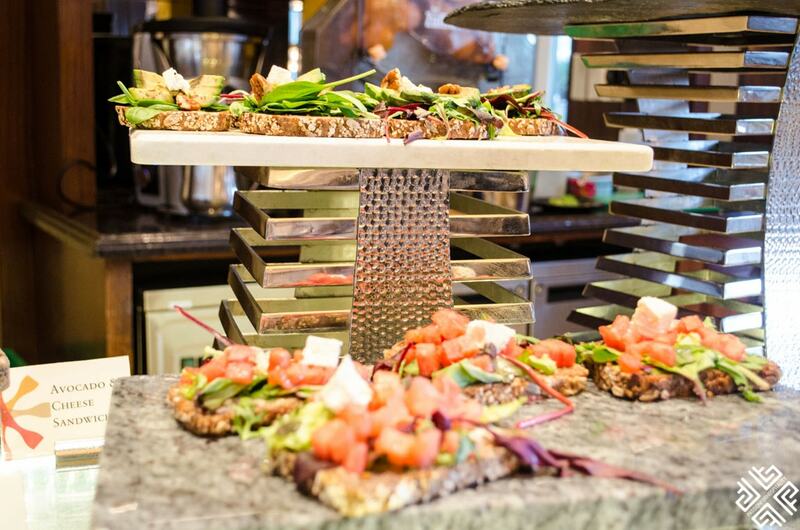 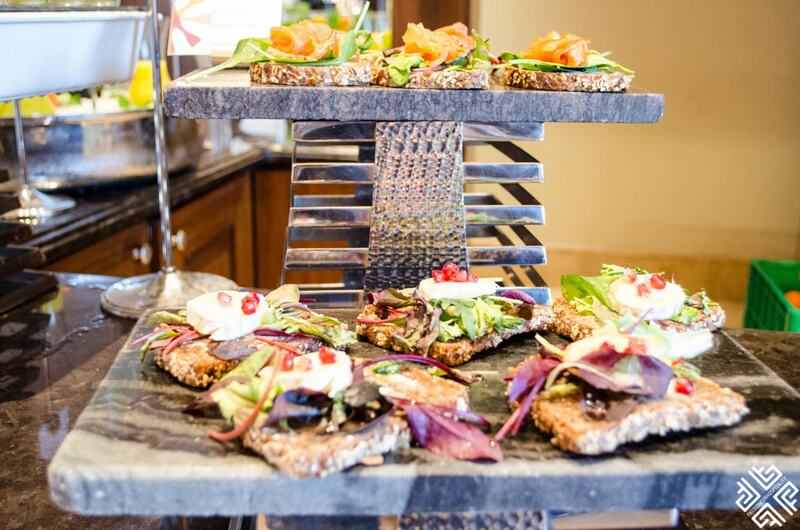 The choice of breakfast offerings is extensive with a fantastic healthy options buffet corner featuring a delicious selection of sandwiches with avocado, salmon and feta cheese served on whole wheat bread, freshly cut fruit and a yogurt selection. 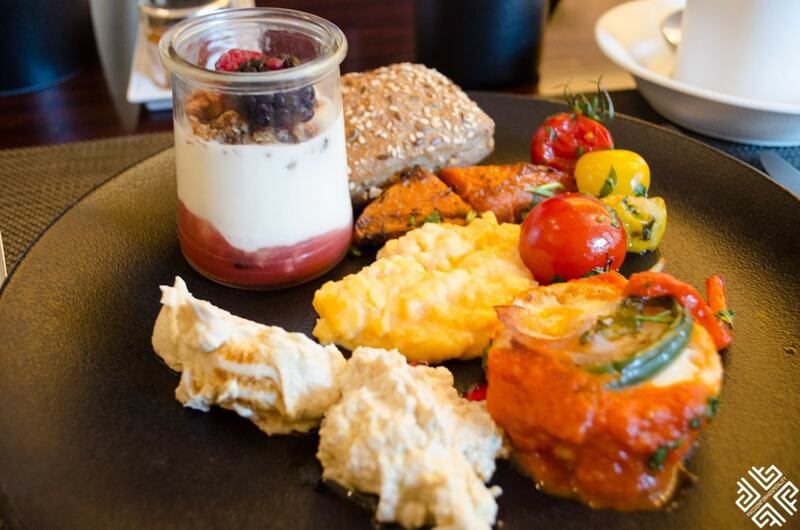 There is also a separate corner with hot dishes where you can enjoy specialties like the traditional shaksuka made of poached eggs and tomato sauce with spices, cold cuts, freshly baked goods, crunchy breads and a separate sweet corner. 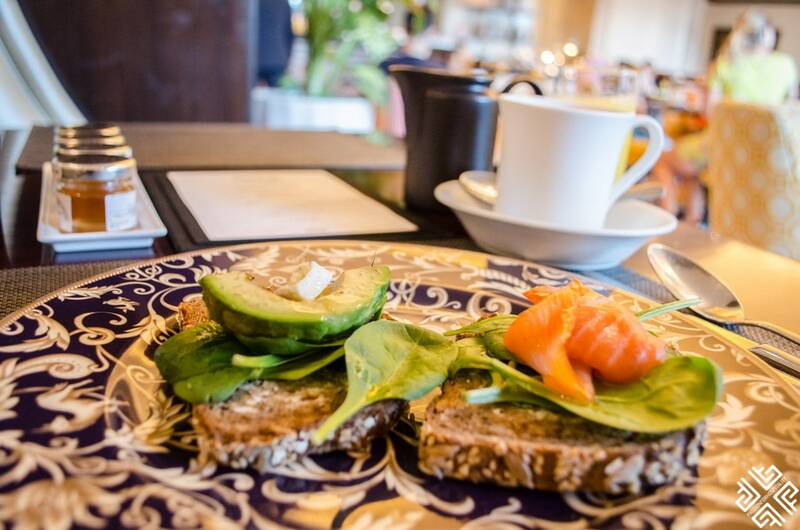 For those who wish to indulge on an egg-dish of their choice there is also an à la carte breakfast menu. 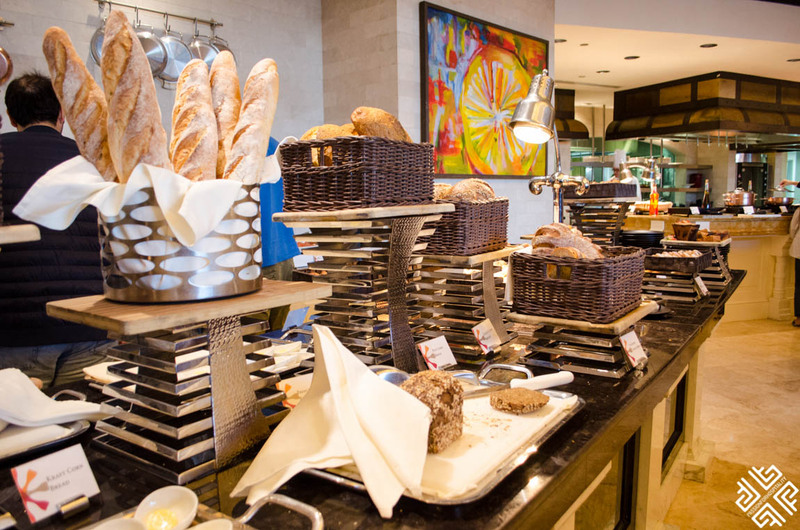 The breakfast staff was extremely polite and professional, making sure that my coffee cup was always full. 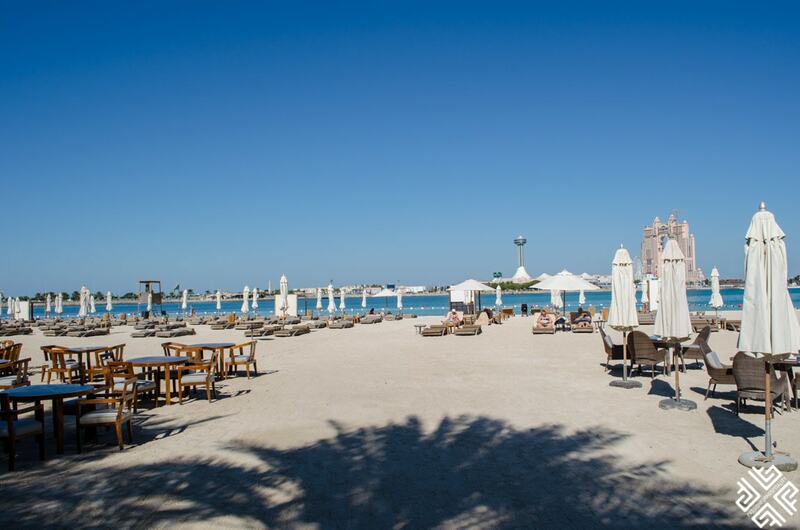 The hotel features a generous selection of dining outlets which are ideal for any time of day — from the beachfront Cabana Bar & Grill situated at the renowned Nation Riviera Beach Club, to the awarded Villa Toscana serving the famous Saturday Brunch, the Terrace on the Corniche featuring a menu of fine meats sourced from all around the world — the choice is endless. 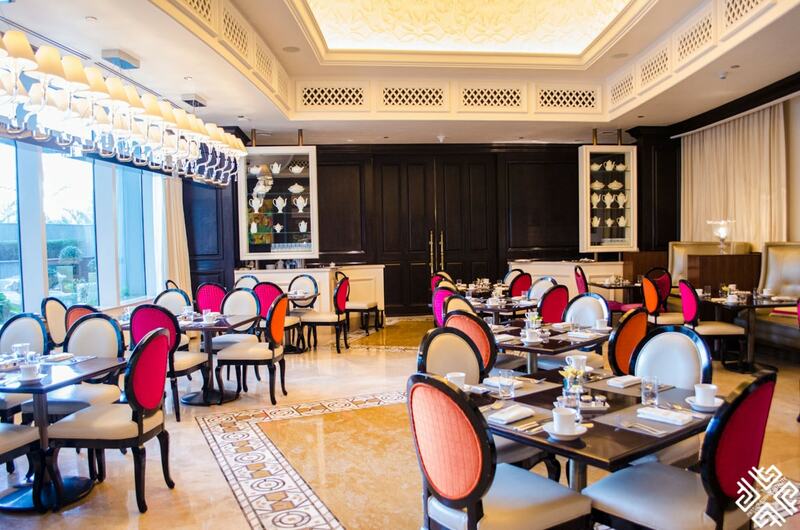 For more details on all the dining options at St. Regis Abu Dhabi and the weekly events click here. 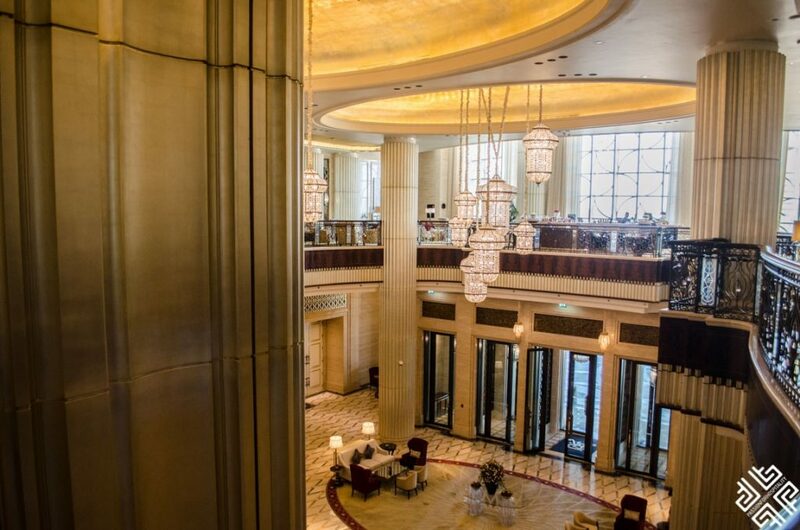 The St.Regis Abu Dhabi features all the modern facilities and services for a memorable and relaxing stay right in the heart of Abu Dhabi. 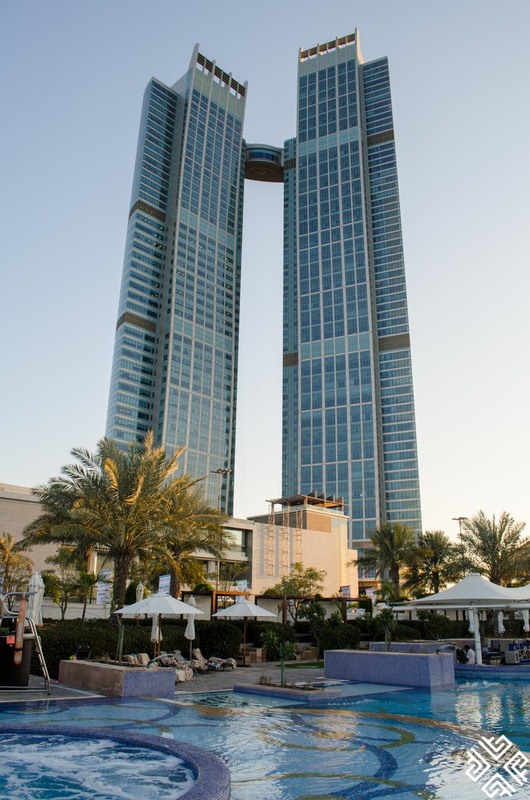 The Nation Riviera Beach Club which is located on the best beach of Abu Dhabi can be accessed via a marble tunnel directly from the hotel. 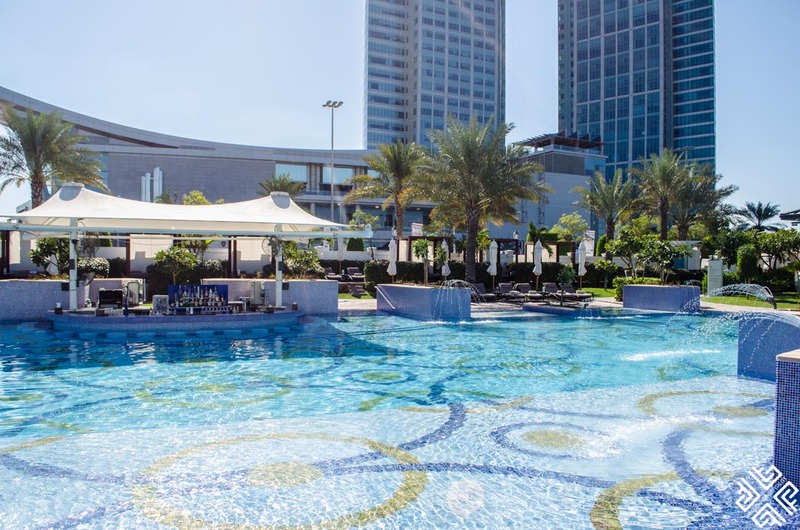 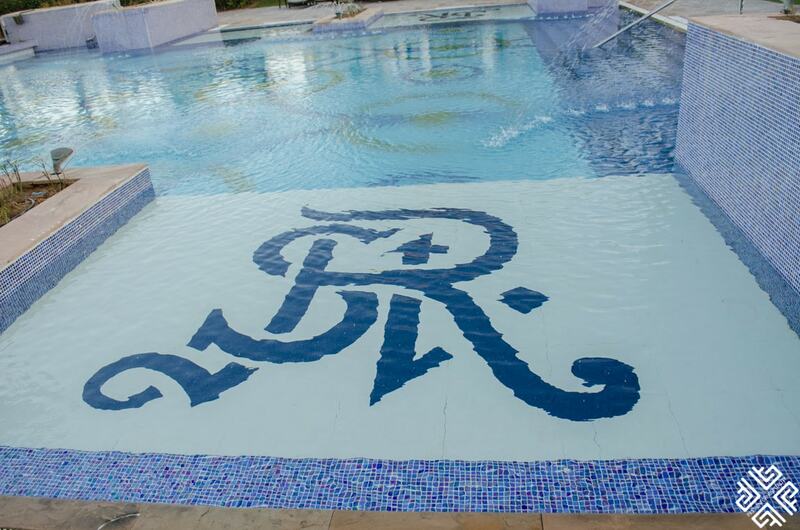 Offering guests a variety of recreational activities from the temperature controlled swimming pool with a separate Jacuzzi area, to organized beach facilities, fully equipped gym, wet area facilities and Treasure Island Children’s Club for the little guests. 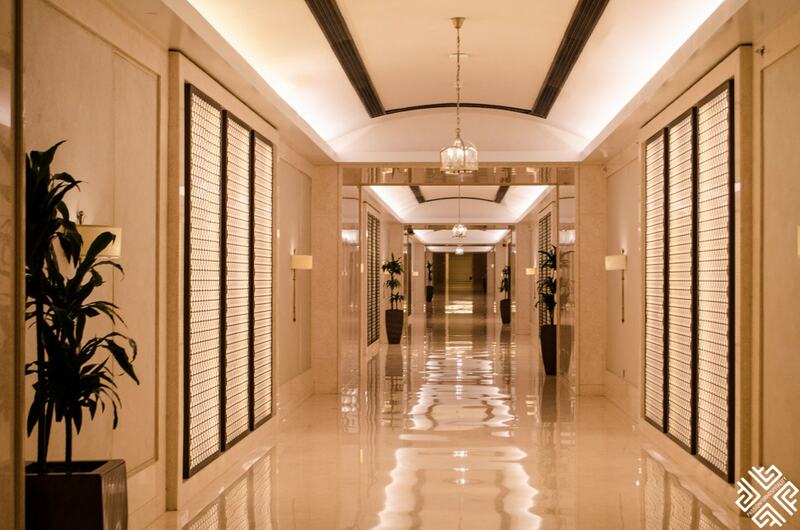 At the 3,200 square meters Remède Spa located on the third floor of the St. Regis Abu Dhabi guests can enjoy a rich selection of trademark Remède and breakthrough Elemis therapies as well as locally inspired treatments by highly trained specialists. 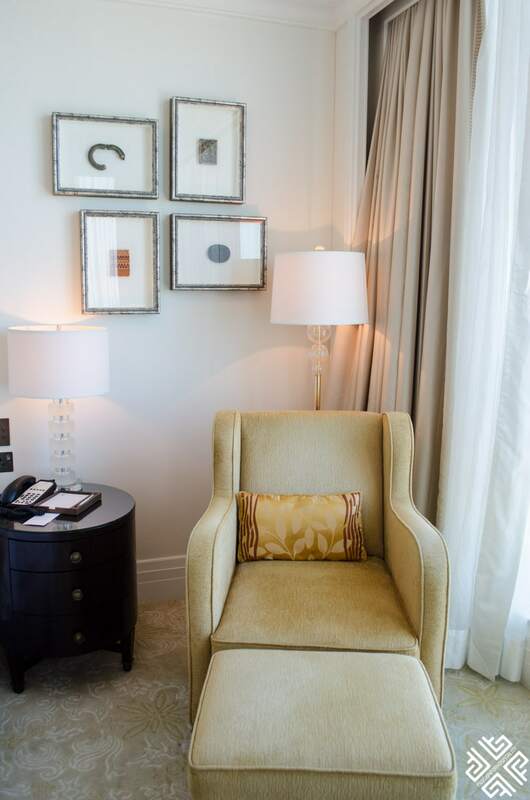 The impeccable service, attentive staff, attention to detail and the luxurious environment all complimented to my unparalleled experience of staying at the St. Regis Abu Dhabi. 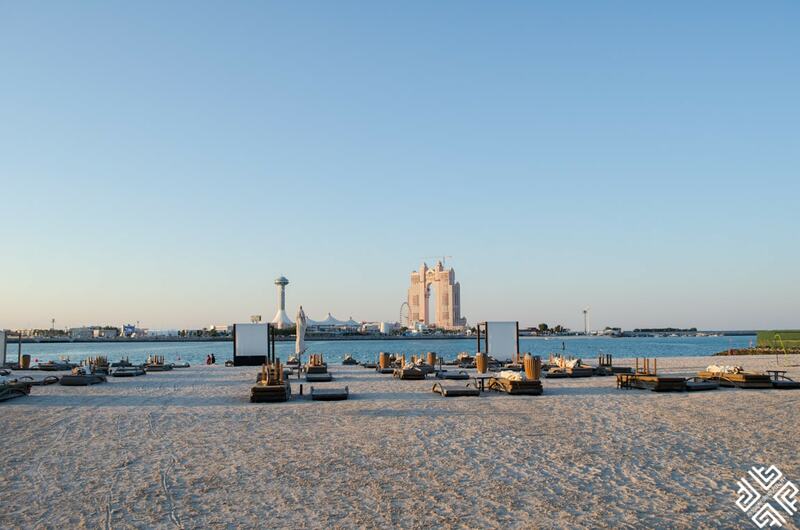 Have you been to Abu Dhabi? 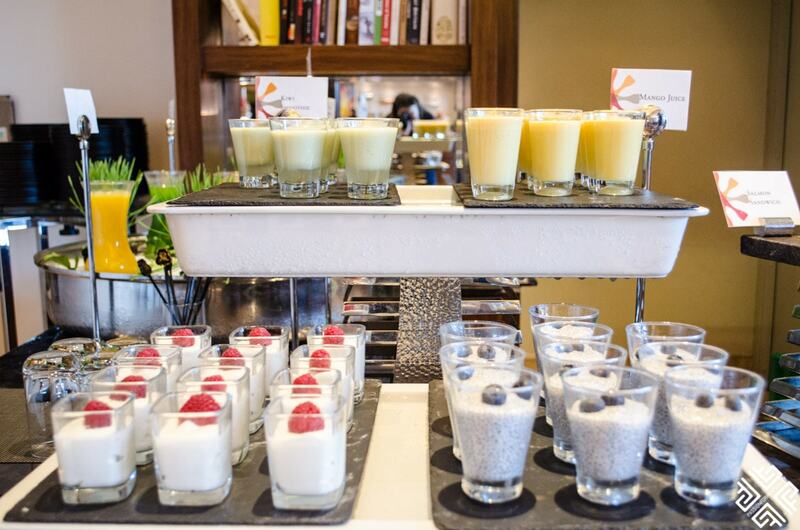 If yes what did you like best?